Description: When trying to run the backup tool, it does not pass the .Net Framework version check. Cause: The backup tool is unable to check for .NetFramework versions above 4.6.1. 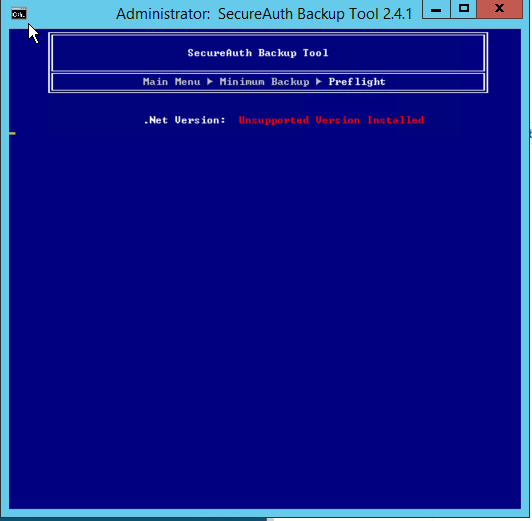 Resolution: Open up the backup tool on a administrator level notepad. Ctrl+F 394271 to locate the part of the script that checks the .NetFramework version. 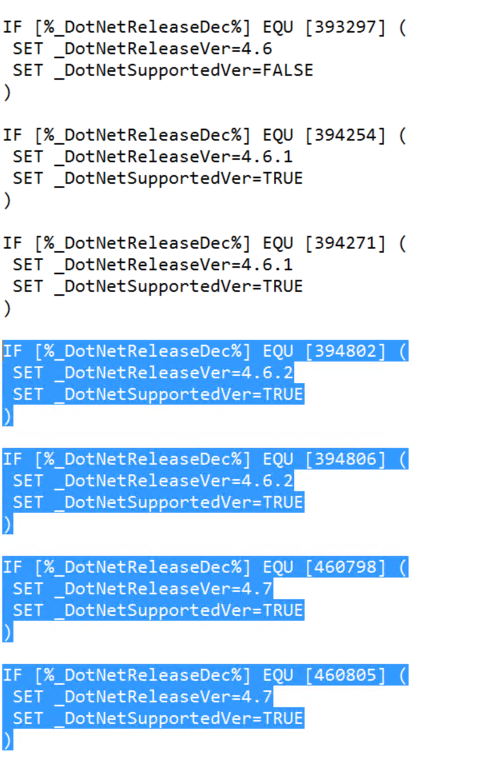 As you can see, it only checks up to .Net Framework 4.6.1. We will need to add the proper .Net Framework version in order to pass the check. 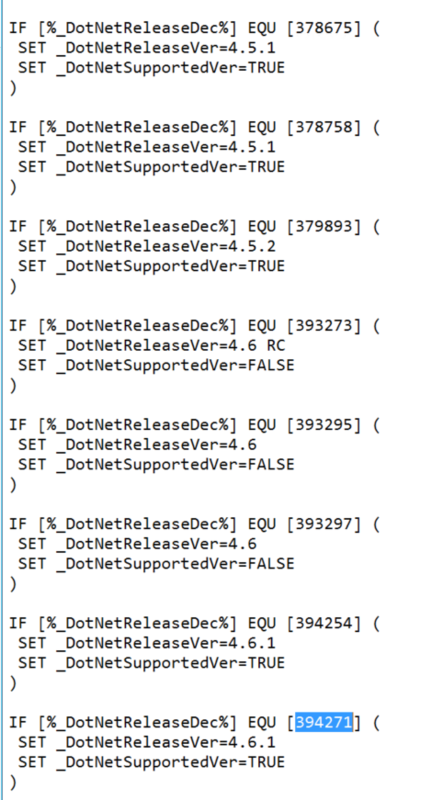 There are three areas in this script that checks for the .Net Framework version. Once for a minimum backup, second for a full backup, and a third time for the restore. Make the change on one and copy and paste it over to the other sections so all three have updated .Net Framework version checks. These values must match along with the .NetFramework version on your Registry Editor. Now after saving these changes, you will be able to properly run the backup tool.